I’ve lost track of how many times I’ve attempted to write a blog post this year. They all start with high hopes but end with a blank screen, except for this one, which I’d better hurry up and post before I delete it as well. It’s not that I don’t have anything to say, but rather, I have so much to say that I can’t find a way to whittle it down into a coherent readable piece, and by the time I am able to, my thoughts have completely changed and the to-be post is irrelevant. But I miss you, and I don’t want this break to become forever just because I can’t articulate my goings on, so I’m forcing myself this morning, while baby naps and the kids make pipe cleaner crafts at VBS, to stop over analyzing, reaheat my coffee, and just share. Have you ever gotten to a place in your life…perhaps right after a big change, or maybe after a long stretch of no change…maybe you’re in it now…where you stopped and looked around and realized you’re lost? Or at least, you think you’re lost. Feels like lost. Things seemed really mapped out before. Familiar landmarks passed by as you marched on down the road, whistling a happy tune. Then all of the sudden, you look up and realize you’ve wandered off the path into unknown territory. At first, you’re frantic to get “back on track,” but the more you try, the further you seem to get, and then after awhile, you don’t even know if you want to find your way back to that path- and that’s when your mind really starts to get the best of you. Why did you wander off in the first place? Were you on the wrong path? Maybe a new, better path will emerge? Should you try to blaze a new trail, or are you just destined to wander and regret what feels like failure? It’s scary. It’s confusing. And that’s when you just stop to hide out for awhile…to wait, to fret a bit (or a lot), and to pray, even though at this juncture your prayers are feeling like your blog posts- a page full of nothing. I think that’s where I’ve been these past months. Hiding out. 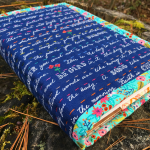 Admittedly frustrated that I wandered off what seemed like a clear path….of quilt-making and book-writing and fabric-designing and blogging, and even of homeschooling. I’ve not done any of those things this past 6 months…some longer. I felt guilty and was confused at why my sewing room was literally the last room that I chose to unpack in our new house. It wasn’t that I was too busy…I was subconsciously pushing it to the side. I wish I could articulate why, but I can’t, which is why my blog has been so silent as of late. Some call it a healthy break. Inside it felt more like a crisis of emotions. But the search for clarity has brought me to some really important realizations about my identity (and how it isn’t tied to any of the things listed in my Instagram profile), and about meaning, and faith. The kids and I studied insects in science last year, so a chrysalis is coming to mind. I’m realizing that I wasn’t actually lost. Hidden, perhaps…withdrawn from some parts of my life, maybe, but definitely not stagnant. What felt like standing in place was more of a journey than I could possibly have seen except in hindsight. What an incredible comfort to realize that even when I feel the most lost, the most confused, the most broken, that I’m exactly where I need to be for God to do a great work in me. I can’t see it when I’m in that cocoon, feeling trapped in the dark, but oh to bust out and see those beautiful wings. So I’m busting out, renewed, and in many ways changed, and I can’t wait to see what adventure lies around the next bend. Happy Independence Day, to all you fellow Americans, and a big hug to all of you! I’ve missed you so, and am so happy to be back with you here on the blog. Hi Pat, I to feltbthis when I retired. God led me to Sew Powerful. It is a charity that sees for girls in Zambia to keep them in school all month. If you are interested check out Sewpowerful.org. We would love to have you join us. Where ever God leads you will be an adventure. Be encouraged that He has a wonderful plan for your retirement. Blessings. Thanks for sharing this link, Susan! Sounds like an awesome organization, and a good resource for anyone wanting to get plugged into a way to make a positive impact for others! 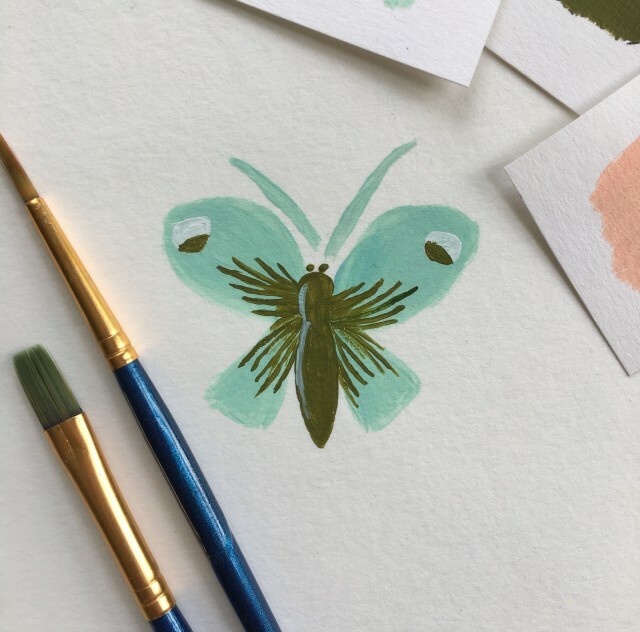 Love your painting of the butterfly and the analogy of the chrysalis…in some ways, I’m still trying to find what path I’m meant to be on. It can be a bit scary at times…going to reread your post tonight when I’m not at work. Looking forward to going on your adventure with you, I’ve been a huge fan since your first BOM class on Craftsy. So glad you can relate!! Yeah…avoiding is the right word. Definitely needed a break from some things. Still not 100% sure what those things are or were, but just resolved to let it go and enjoy exactly where I am at instead of feeling bad about where I’m not. Our neat and tidy lives evolve. We get stretched. We get spent. We get renewed. God has a way of turning us in different directions, if only for a season. Enjoy the little things! They are the important thing,…and life goes by quickly. God has smiled on you. So we’ll said. I completely agree. Will try to savor the little moments because I know they pass by and grow up so quickly! We all miss your blog posts Amy and your creativity that is wonderfulness to me! However, I certainly understand! You see, my husband and I have adopted 5 of our grandchildren in the past 5 years. Wow has life changed for us. My sewing /quilting has been my escape and my sanity. With school out, I have had a hard time even heading to my studio. It can be very overwhelming on a daily basis. We try to do it all and have to learn our limits or for me..better time mgmt skills. I love being busy with our little ones,watching them grow and learn. Then I get to where I need creative time for me..I have started our older girls sewing pillow cases and rag quilts. Sometimes feeling like it is more for me than them..as we get to escape to the studio! Enjoy your summer and little ones..they grow to fast. We will be here waiting when your back! I have really missed you, Amy!!! You always were so open about what you were feeling and doing and doing so much I was envious—with 2, then 4 small children, no less. 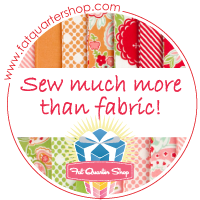 So creative with your books, quilting tutorials, fabric designs, and my first contact with Craftsy. Com through your, was in 2012 ?, Sampler quilt ( one of my first successfully quilted pieces I use every night curled up on couch with the puppies). I marveled at your energy, positive vibes, and creative spirit you shared with us strangers—but we don’t feel like strangers—I feel you are s friend—so, please , when you are ready continue to share what s going on in your life—and how the quilting fits into your new existence—you are special to us and we love you!! Different places in our lives have different priorities. Sometimes some things are let go, but others come in their place. And sometimes it is just hunkering down and pushing through. I have helped counsel homeschool moms for over 20 years. I have a very inactive blog about it, but it does contain many of the lessons I have struggled through. http://homeschooling-imperfectly.blogspot.com/ and my e-mail is (without the spaces) fourkid @ mindspring .com If you feel led I would be happy to offer what encouragement I can. 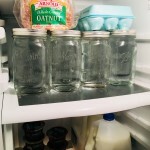 Thanks for sharing this link to your posts Patti! I love the opening description where you say that in all of your years of working with families, that you have yet to meet one who “has it all together.” Such truth and yer its so easy to start to compare and feel shame over shortcomings. Great encouragement that we are all a work in progress and doing our best!! Perfectly put. I completely understand what you are feeling and have had so many of those moments you are sharing here. Your post is brave and vulnerable. Thank you for saying what many are feeling but are unable to put into words. If you ever feel like having a play date, please let me know! Thank you Kim!!! That is so awesome to hear- I love it when vulnerability seems to brings folks closer together in understanding and encouragement (for both the sharer and the sharee! 😊). Good feeling. PS we so need to get together!! Don’t feel like you have to present perfection to the world. There is this obsession with being the perfect mom. Somehow you are going to homeschool, be the perfect home decorator, take care of all yours kids, keep yourself stylish and slim, bake, cook, sew, quilt and do it all on a budget. That’s not what God wants us to do even if social media tells us we should. Don’t feel like your life must be Pinterest-worthy. Enjoy your blessings without being tempted to stage everything for a picture on social media. It’s hard to resist, I know, but in the end you will be much happier! I couldn’t agree more!!!! Ive found trying to live a “Pinterest life” to be thoroughly exhausting and unfulfilling!!! I do enjoy photography and design, so sharing photos on Instagram of little moments I want to document continues to be fun for me- but it’s vital to constantly reevaluate to make sure I’m posting for the right reasons. Ah! Sometimes I wish I lived in a computeless era. We all get that feeling of being overwhelmed. Stand back take a break look at all you have accomplished in your life and feel good about it. Times change and we must change with them. You will bounce back from all of this. As they say This too shall pass. Love you and all your work. Have a great peaceful summer. Enjoy the kids. They will be gone before you know it. Amy, thank you for you transparency. It will change lives as we all depend more on God to direct us knowing He is good all the time. You have a wonderful talent that God is using to encourage people. Soldier on! Josee- Oh I so relate to what you said about comments from other people! Encounters with certain well-meaninged loved ones have been like “So how’s the blog going?” Me- “Well, it isn’t right now because I don’t really feel like creating and I don’t know what to say” Them- It was a fight to not feel shame and failure after some of these interactions! 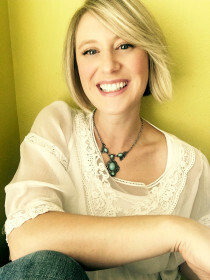 So many of us, especially moms, go through exactly what you’ve described – and the hard part is that now so much of it is “public” – blogs, facebook, instagram…..if you have a down time, everyone seems to know, which adds more stress to the situation! Try to relax, and don’t worry about those of us out here. We understand, and are just grateful for what you do. God is always there (even when we are in the chrysalis and can’t see him) and He welcomes you at the end of the darkness. Bless you. Amy! So good to read your post, and hear your voice again. When you take the time to write things out, and share it with the world, you serve all of us in such a tender way. We feel connected, understood, and uplifted by knowing that you struggle in some of the same ways. You remind us of grace and that there is a plan. Thank you!! Hugs! Amen! You are not alone. Two books that have been helpful to me in this time/place are: “Falling Upward” by Richard Rohr and “Faith Shift” by Kathy Escobar. They might be a little too “out there” for where you’re at, in which case, just disregard. I think your pair has articulated some things my husband and I have been discussing. What seems like should’ve felt like the fulfillment of a lot of dreams has become so much work right now. We are hunkered down and just trying to get through right now. Thank you for these words! Hey, sometimes you just gotta do what you gotta do with no explanation to anyone. 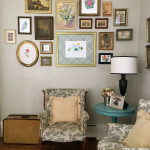 I check in the blog every once in awhile and always am happy to see a new post. I too still use my BOM quilt, still marvel at how it all came together—as in…I did it. Oh Amy, I’ve been so worried about you. Glad you are back! I can identify with what you are going through. After retiring I felt totally lost and so useless that I could not even see myself sewing. It took a lot of willpower to enter the sewing room and get started., but it helped me feeling less depressed and making gifts for loved ones made me feel useful and happy again. I wish you and your lovely family all the very best and hope to see you back in the sewing & quilting world again soon. Hi Amy, Welcome back to us….. but don’t feel under any pressure – good heavens you have enough of that with your wonderful family. I did wonder if you were ok and I’m so pleased all is well. It happens! It’s all part of our journey! Welcome back. Looking forward to seeing your posts again. Been there! But you describe it so much more beautifully than me. When I’m in that place, I feel more like I’ve been hiding under a Rock! Welcome back! Hi Amy! First of all, we love you. Secondly, sometimes we just need to take a break and regroup. My goodness, you have had so much to deal with in your life. Just getting through the day sometimes is difficult when you are raising a family. It is hard to find time for yourself. All this will work itself out. I have faith that God will lead you through this. I love reading your posts. They are always so honest. Thank you for that. We all have our ups and downs. Please write when you have time. We can work out a lot of things through writing and that often leads us to new realizations and down paths that surprise us. We can draw strength from others. Take care of yourself and give yourself time to work through this. Again, we love you. There are times in all our lives when we need to just “Be” floating along the river of life, just being in the moments, letting life settle down and sort its priorities out naturally. No guilt. No stressing whichway or whatever, just letting it happen, then the spaces will appear in lifes schedule allowing us to slot in other pleasures and events without causing ripples, but uniting in the natural flow. So hang loose, be flexible and enjoy being in the moments, life happens. Smile, live, love, laugh, be happy. No self guilt and over analysing. Just “Be”. When the time is right it will happen. Amy, could this be a post-partum depression that hasn’t abated yet? It can last sometimes up to a year. I had it and it’s miserable. So let’s see…you’ve had a new baby and a major move with all the emotional ups and downs of house hunting. No stress there right? Lost? You’re in a new state and probably haven’t memorized the trip to the grocery store yet. Of course you’re lost! I might suggest you stop trying to get back into the old groove and just create a new one. Sometimes when my life hits a roller coaster spot, I go back to what I do best – dishes and housework. It sounds stupid and simplistic, but those are the only two things I have full and complete control over to have them come out right. So I clean my kitchen and congratulate myself on just doing that. Mission accomplished, yay me, tomorrow’s another day. I continue to praise myself for the simple things until my life sorts itself out. Getting control of the basics in life will give you the peace to branch out to those other things outside of home like Craftsy classes/books, etc. And I wouldn’t tie your sewing room to the pressure of blogging. Go in and sew a doll dress and don’t blog it. Nobody needs to know but your daughters. Do mending. 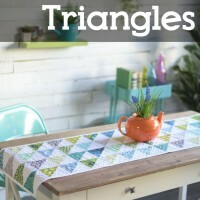 Make a baby blanket or a set of pot holders – no blogging required. You are a rock for your husband and children and God slowed your life down so you can focus on family. There’s so much crazy in the world today that being off the techno-grid might not be such a bad thing. :) God bless you Amy. Amy, it is so good to hear from you! I was just thinking of you and wondering how the move, the new baby and all the changes have been for you all. I was wandering around Wegmans while visiting that area and for some reason, you came to mind. Moving is hard-no two ways about it. I moved from NY to FL 15 years ago and I still struggle sometimes. At some point though you start to feel like you’re home. You will find familiarity in your community and your kids will make friends and you will too. Just remember where your identity lies. It is not in quilting, designing, being a wife or mother (although those are things you do). It is doing what you are called to do at that given time. I hope that you keep blogging. You are a good writer and honest in sharing your life. Us readers get to know you and feel like you’re family. Whatever you decide to do, you will be fine. God Bless! So glad to hear from you. I am sure that your path is just as God has directed it. Maybe you can just post about your new path occasionally? I think you have probably entered into what is called “life.” Congratulations on your family and enjoying their life. If you still need to incorporate the busy part of a quilting business, I am sure that God will make a way for you. I wish you the best. You made my day when I saw your email for a blog post. Life does get busy and we do need breaks. Enjoy your summer and your family. God Bess all of you. One thing I’ve learned is that life goes in waves – some good, some bad, but most are just different. If we ever think we’re in a boring wave, the next one is far from boring! As we develop, our life changes, our outlook changes, our abilities change, and our inner self changes. You’ve had a lot of changes in the last year or so and your mind and body are adjusting to those changes. “Super women” and “Super Moms” are so over rated by the world. This is coming from a Sister who tried. Life is better when you stop slow down and get off the merry-go-round. God will lead you. Missed tour blog. You are so honest with you feelings. Give yourself some credit, you have had a lot of upheaval in your life in the past year. Some people equate moving with death and divorce. So it is no wonder you are feeling untethered. I have been there and believe me when I say it will get better, different but better. You are so blessed and God is in control, take time to listen and he will answer. Amy Gibson how lucky am I to benefit from your talents and your generosity to share no matter the timing. 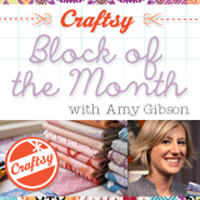 I am new to quilting and recently discovered your 2012 Block of the Month followed by Leah Day Free Motion Quilting a Sampler – YOUR 2012 SAMPLER! I can not tell you how many hours of meditation, personal time and personal growth I have garnered from these lessons. God moves in a mysterious way…. even through the internet!? May you find inspiration on any and every path you decide to wander down. Sending thankful love, peace and happiness! Amy, I too have been hiding. My mom died after a 14 year battle with Alzheimer’s and I was the care giver. Our youngest daughter graduated from college and got engaged. 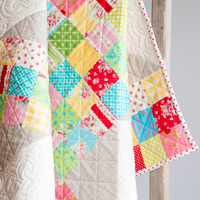 I kept asking myself “where do I go from here?” New to quilting, I found your blog. :) You are very encouraging as well as the other women who leave comments for you. I think I will stick around for a while. God bless you on your journey and know that we are not alone. When I started reading your post today, Psalm 107 came to mind… I love the version that Wendell Kimbrough has recorded. Any, I have missed you. I have been wondering about your move and new baby. I can’t remember what I had for dinner last night, but I remember where your life was at!! I love what you wrote and the awesome responses. You all write so eloquently and can put into words what others need to hear. I get so lost and wonder what the heck should I be doing and feeling. I never feel I do enough and never seem to congratulate myself in any way. Chores feel like… well chores. I’m happy you and others have it more or less figured out. Glad to see you’re busting out of your chrysalis Amy! I went through this a few years ago and realized I wasn’t meeting my purpose in life any longer. I had been in a bubble, like you, feeling lost. Finding purpose and staying on purpose has helped me grow in every aspect of my life. Looking forward to seeing where this takes you!! So glad to hear from you and looking forward to hearing more of where God is taking you in this adventure. I am not sure when I realized that life is an adventure with God. It may have been in 2005 as we were driving and camping on our way to CA from IL. We were on our way to Taiwan to lead a team of young Americans and Taiwanese Americans to put on English camps to help the local church with their outreach to their community. I was 62 at the time and heading to an unknown that I wasn’t sure about at all. Our first night out I felt trapped into this and thought there was no way out. Then I thought that really I could just quit (not thinking clearly about it because my husband was part of this equation), but then I realized that I didn’t want to quit because it had been so clear that God had been leading us to do this. It was so hard and tiring but also very rewarding. We ended up going to Taiwan 3 additional years until my dr. said no to the next summer. What an amazing adventure we had those four years where we had to rely completely on God minute by minute and day by day. That has had a profound effect on me as we continue on this adventure called life. The latest adventure has been called cancer as my husband was diagnosed with prostate cancer. After surgery, radiation, and hormone treatment he is cancer free, but the cancer was a very aggressive form and was stage 3 when diagnosed. So we know that there is a good chance that it will come back, but we are 75 and enjoying our active lives here in Alabama where God led us 5 years ago to be near our oldest daughter. I have really missed you amy and hoped things were going well. We all need a pause every now and then …even without a new addition to the family and a move and…. There needs to be less guilt and more acceptance for all of us women. I hope that you can embrace these days with your little ones. My own 5 boys (incl. 2 sets of twins) are all growing up. My youngest just graduated from High school and is off to a foreign country next year. I know those days when my kiddies were small just seemed like they would go on forever, but they do end. Cherish them and give yourself permission to rethink, reexamine and refresh. I know you are a talented and creative individual who has much more artistic expression to give, when the time is right. Meanwhile, thank you for giving us an update and I look forward to seeing more gorgeous photos of your kiddies and butterflies of course! Prayers coming your way. Take your time coming back to the world of blogs. Just post that you’re okay and leave it at that. We all understand that life happens when we’ve made other plans. Your health and that of your family are first on the list. Just know that you’re not alone, we’ve all been there. Amy so glad to here from you again. I have prayed for you over the last several months. Amy, you’re a treasure. Thank you for sharing with us. I hope you and your loved ones are spectacularly happy and that you’re squeezing every bit of joy you can from every stepping stone along your path. I really believe we are the sum of our journeys, not our destinations. Metamorphosis is one of those everyday miracles. How can one thing become another thing entirely? The real miracle is that through every change and transformation and rebirth we are still ourselves. Happy Independence Day! Be free to be you! Amy, so glad to see you back on your blog. 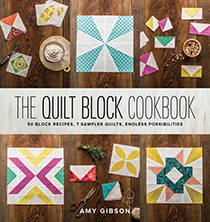 I have your The Quilt Block Cookbook and have come across a problem. I have one block of Recipe 32 ‘Flag Day’ ready to sew together and there is no way it is going to come out to 12 1/2″. It appears that it will be 13 1/2″. I haven’t been able to locate any corrections to the block patterns. 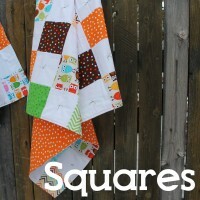 Maybe this one was supposed to be 5″ for the ‘Orange Fabric” square? Please let me know if you have any wisdom to share about this. I’m anxious to continue, but have reread the instructions over and over and can’t for the life of me figure out what I’ve done wrong. Happy 4th to you and your beautiful family! Amy, it’s good to see you back. Your post was poignant and real. I’ve been trying to learn lately to live more and worry less about being productive. I actually don’t know how you’ve accomplished as much as you have with three children, and now a fourth. I raised three and barely got supper cooked, much less making quilts or publishing books! You need to give yourself permission to have this break, to find yourself, to maybe even find yourself on a whole different creative path. Much love and good wishes on your adventure! Amy, Thank you so much for being open about what you are going through. For some time I just have felt the same as you. Only it seems mine goes on and on. I can’t pray, or read my Bible. I have never been at a place like this in my life. My health has not been good either lately and the enemy has made me ashamed of the position I am in. Oh to just get out of this hole! Please pray for me all you ladies out there I need your prayers so much. I know there has to be a light at the end of this tunnel. Amy, I think we all go through this at one time or another. In fact, we may experience this kind of drifting many times in the course of our lives. I am 66 years old and there is much more of my life behind me than in front of me and the one thing I know for certain is that life is what happens when you are making other plans. Every time that I have been in a place where I felt lost and rudderless, I eventually found my way back to the rock upon which I anchor myself. Each time, I was stronger for the wandering. Each time I learned my own strength. Each time I learned something new about myself. Most importantly, along the way I learned to forgive myself for my wanderings because as you pointed out, we are not lost at all. We are only taking a temporary journey to a place we did not expect to go. I am happy that you have taken the time to wander – be lost – be drifting. It is how we grow. I am also so very glad that you are back. We have missed you. After finally setting down and reading your post, I am feeling better about life. I am enjoying doing things again….I have actually been sewing and accomplishing projects and my life seems to be coming back together. So thanks and have a wonderful summer ….. HUGS !! I, too, have been on that path. I think the last time I replied to a blog we were packing our home & also moving (I didn’t have a baby tho on top of all that!!) We are now in FL since end of Nov, and all our belongings are in storage. We thought we had found a house, and it fell through – I know, you know all about that, then we went to our storage unit to rearrange & try to find some things, and almost everything has mildew. I am sick, and choking back tears. Be comforted that you are missed and you will find your mojo soon. Loved your butterfly, maybe you are meant to design a new fabric line. I always enjoy reading everything you & your family is up too. Hugs!! Of course, we all miss you, but mostly wish the best for you. I was young once with 4 children to care for. I wasn’t home schooling, as it wasn’t really thought of at that time. There were no computers or cell phones. I wasn’t even quilting till I was pretty much an empty nester. I would make clothing some, but quilting? Hadn’t found it when I was your age. Things were much simpler. 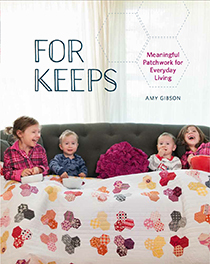 At the same time, I still don’t know how you have been able to keep up with growing your family, home, schooling, and all you have done to further quilting. It boggles my mind. Don’t feel bad about needing to take this break. You are still young with more time down the road than you will know what to do with. In the meantime, enjoy your family and your new home. Everyone has a point where they need a break, a change, a new normal. Congrats for taking it. Your kids, husband, and family are the most important and you are wise to listen to those promptings of the spirit to do so. I too have done this, sometimes still do. Stepping back at times lets us s the big picture of what is the most important. We understand and when you are able to blog and quilt again, we will support you jist as we support your time away. Hug the kids a little more and love your husband, we love you. The nice thing about a blog is that you get lots of input. You’ve gotten a lot of comments! I just want to say to you that life is a journey. It takes you places you never dreamed of. Some things are wonderful and some things are not. Some are down right painful. The magic of it all is that it’s the many journeys you travel that make you the person you are. Your journey to Craftsy touched so many of us in such a positive way that we’ve become part of your journey loving you for the person you are – not necessarily for the things you do. God’s grace is always with you. Amy, It is so good to see you back. We all need a time to regroup sometime. I can relate. I’m a mother of a 5, 2, and 8 month old. I work fulltime and try to balance life with my kids, and continue growing personally. My life is in fluctuation and I wonder, what is the next step? I’m ready for a change but don’t want today anything hastily. Your words struck a cord. I hope the best for you and your family. Life goes on. It really does. Possibly in five years when you look back at this posting you will get a big smile on your face. Trust me, I am Older lol. I have just found you via Favequilts which is not one of my favourite sites because there is so much scrolling and our internet speed is not the best here in our rural Maritimes in Canada. I love your tutorials and have passed them along to friends. Good luck, we will wait patiently or not lol for whatever you can share with us. Take care, big hug. I’m so very glad to read your post today. I “found” you several months ago on Craftsy and have watched all of your classes. 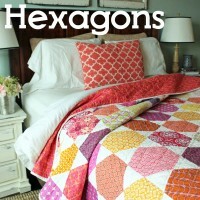 I’m working my way through several of the larger quilts you teach (the hexagon and the throw). You are my favorite teacher on craftsy, and I’m so happy you are feeling some renewal. I came to your blog a while ago and saw your lovely growing family and hoped you come back when you felt ready. I pray continued renewal and blessings for you and your family. Welcome back! Amy, Congratulations on your new baby girl. Can’t get over the resemblance amongst all 5 of your children. Extremely adorable! Most important in your life! I believe after having yor baby that your hormones are a big factor, effecting your feelings. Quilting, moving, so many changes have just worn you down. Slowly, your strength will come back. Give yourself a break and things will right themselves. Don’t push – just be patient. I just made your “Cross My Heart” quilt for my 4yr old granddaughter. Loves it! Thought of you the whole time! I meant to reply as soon as I read your post. I can remember those lost times. My children are grown-friends now. The grandchildren are grown as well and starting their own families. I think that I was doing too much to try to slow down the aging process! I had a total knee replacement in April and it took awhile to get back on my feet! A friend sent me a notice about a “Brown Bag Mystery Quilt” and decided that I should join in. I must admit that I had not done much sewing lately and my Pinwheel still needs many blocks, but since we were going to do this mystery together, I took up the challenge. I got that top finished and now we are going still meet and work on our own UFO’s for awhile. 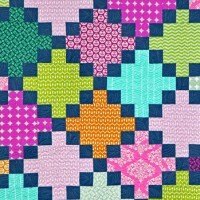 I’m hoping the remaining pinwheel blocks will make a quilt. Enjoy this time and be open to the “tap on your shoulder” to guide your direction. For what it is worth, there is something in being and not just doing to “be” I think people get them confused. You have given to many and perhaps you needed some time to regroup. Don’t force yourself or it will be more of the same. just trust that those around you send you support and encouragement and those of us inspired by you are simply grateful you walk the planet. your wings will arrive and they may fly you in a wholly different direction. Wherever you go, and whatever you fly past, you will be seen, admired and wished a safe journey. I have wanted to write you since you posted your last message. I miss your presence in my sewing room, after all, you were my first quilting teacher. I was in that space you have written so eloquently about. I was lost, and when energy allowed, I searched. 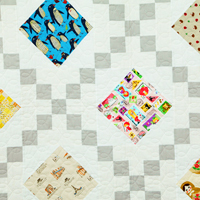 Quilting was what I found, and you are one of my hero’s in the quilting world. Thank you for your talent, your beauty, and your expressive way with words. Go where life leads you. I understand your post and frustration because I’ve also been dealing with that. I haven’t homeschooled in several years since my children are now adults, but I’m still dealing with finding my purpose. The house is deafeningly quiet and it seems like all I have to do is sew. Correction: I want to sew clothing but I’m scared. 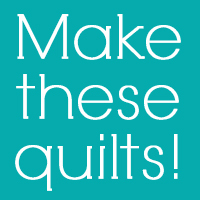 Instead, I’ve been focusing on learning to free motion quilt. While I’ve been getting better, I’m embarrassed that I’m not better at it. Along with not blogging myself, I haven’t been reading blogs either. It’s almost like I’m avoiding something because I’m afraid I won’t be good enough at it. I think this may be typical whenever we have course changes in life, especially when we have been so very busy at one thing and we either crash for a rest or our health is off kilter or something else. You have a new baby so you need some time to simply rest. Take it and have faith that you will come back revitalized as long as it is important to you. I’m glad to see you touching this base though!